To read part one first, click here (then follow the link to part two). 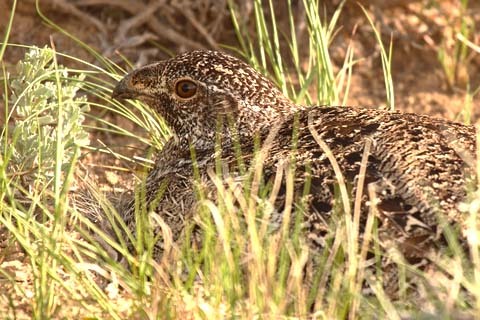 One of the worst aspects of coal mining activity would be the excessive levels of noise that would bombard this quiet, remote area – causing life-threatening stress to the Sage Grouse and other birds. Any licensed wildlife rehabilitator will confirm that birds die easily from stress and from loud sounds. High noise levels would impact breeding as well. The Sage Grouse mating dance includes the distinctive sounds that the male makes to attract females. These sounds would be obliterated by the deafening blast of heavy machinery, prohibiting breeding and the raising of their young. 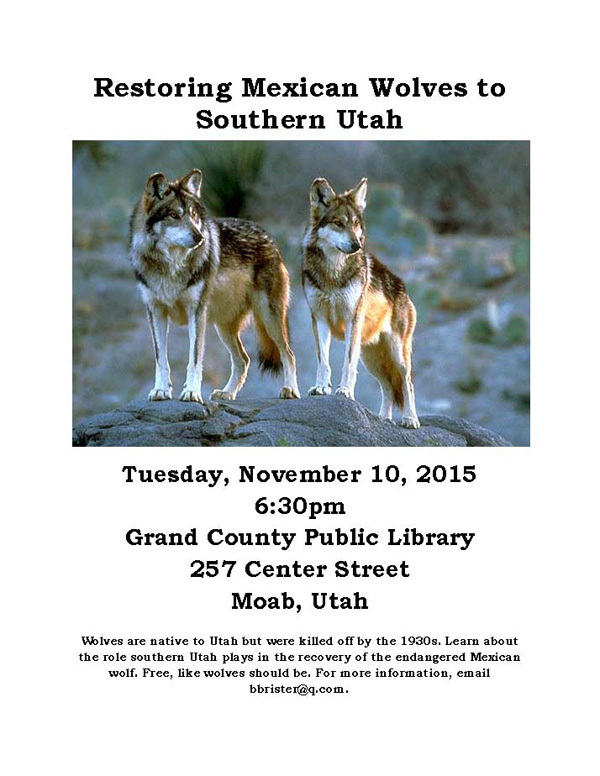 Erik Molvar commented, “In every state where there are major threats to Sage Grouse, there is pandering to local politics, which are often in the pockets of oil and gas or coal interests. 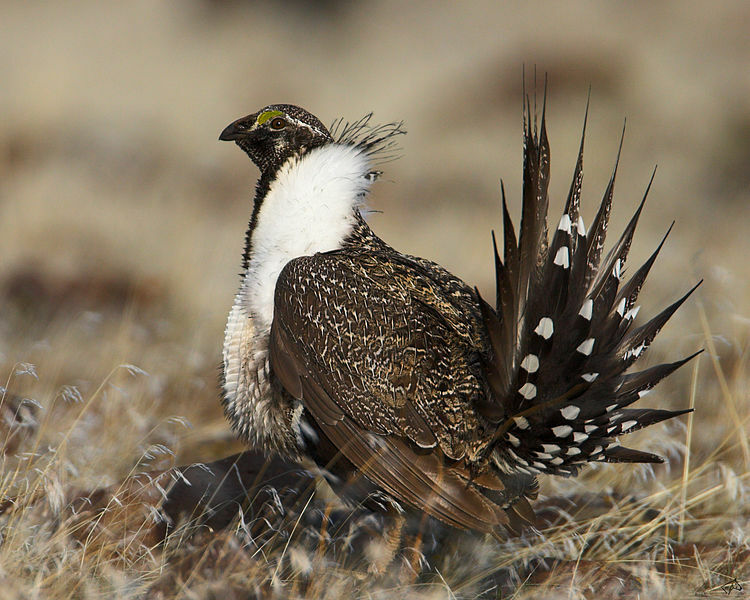 WildEarth Guardians had insisted at the beginning that the Sage Grouse was an Endangered Species and should be so listed, and that the decision should be based on science. When it became clear that this listing was not going to happen, they worked together with other groups and the USFWS on an alternate plan to protect the Sage Grouse. A hundred years ago, sixteen million Sage Grouse danced their elaborate, fascinating courtship dance across the sagebrush sea of the western states. Today, 98 percent of these wonderful birds are gone. 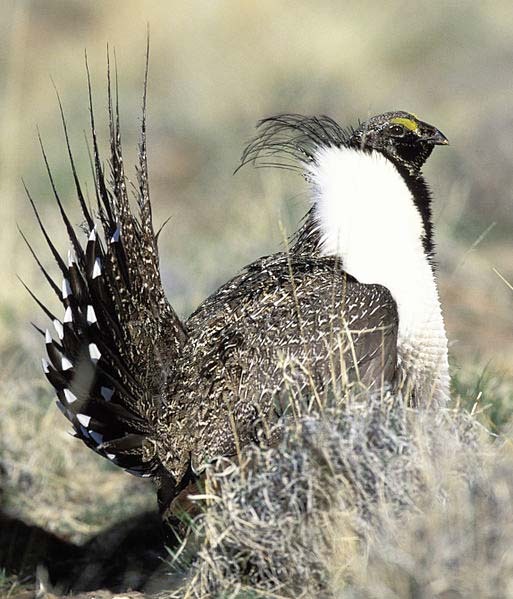 America’s largest grouse, the Greater Sage Grouse, is a gentle, sensitive bird who lives among the sagebrush; a bird who, like its distant cousins; chickens, peacocks, turkeys, quail, and pheasants, lives and feeds on the ground and cannot fly more than very short distances. The green sea turtle is the most common turtle found in the Hawaiian Islands. Hawaiians call this ancient reptile honu. 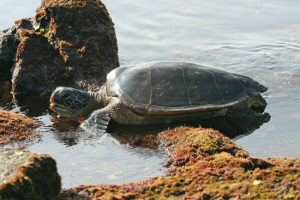 Chelonia mydas can be found in many tropical places around the world. Although they are titled “green” they are not that color. The turtle’s color varies depending on where they are in the world, and/or what stage of life they are in. Their name originates from the green-colored fat beneath its carapace (shell). Although their conservation status is listed as endangered, they are easy to spot in the Hawaiian Islands. Primarily vegetarian, their diet is kelp and algae, and can be seen foraging on land and sea. Hunting, poaching, fishers’ nets, pollution, and habitat destruction contribute to the sea turtle’s demise, but there are also many protective laws and organizations dedicated to this creature’s survival. Green sea turtle overview here. 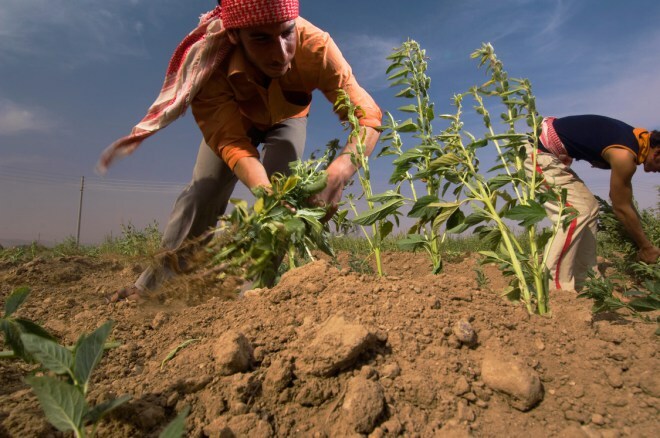 The 68th UN General Assembly declared 2015 the International Year of Soils. It aims to increase awareness and understanding of the importance of soil for food security and essential ecosystem functions. According to scientists, soil is being eroded faster than that the Earth can replace it. So the next time the words ‘dirt cheap’ come up, think again and take not the soil below your feet for granted. Dirt is not only rare, but it’s complicated. To the uninitiated, dirt may look like grubby generic mush, but actually it has character, individuality, and a taxonomy all its own. Soil scientists recognize twelve major orders of dirt, each divided into suborders, groups, subgroups, families, and series, according to its various allotments of minerals and organic matter. Each dirt has a pedigree. Furthermore, dirt is proactive. It’s not an inert blanket; it’s a dynamic entity.